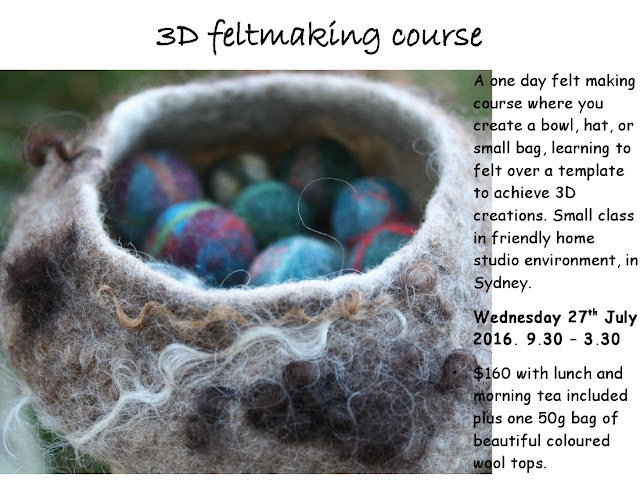 For those who would like to learn to felt in 3D, here is a one day course I am running in July. There are only a couple of places available, so act quick if this interests you. 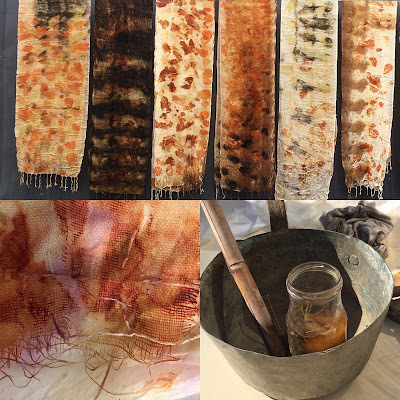 A fun and creative day, where we will create felt from lovely merino tops, which you can bring yourself or is available to buy on the day. One small bag is included in the fee. You can choose your colour preference. Contact me by email for further details on reserving your place. A great way to pass a winter's day! I've just spent a lovely few hours snapping shots of my dear friend, who I'm so lucky is happy to dash on my frocks for a shot or three. Thank you my dear! Here are my latest creations incase you are browsing for something original, handcrafted and arty. Unique hand crafted white silk nuno felt dress. Beautiful for an original bride. Large shawls made to order. Contact me for prices. 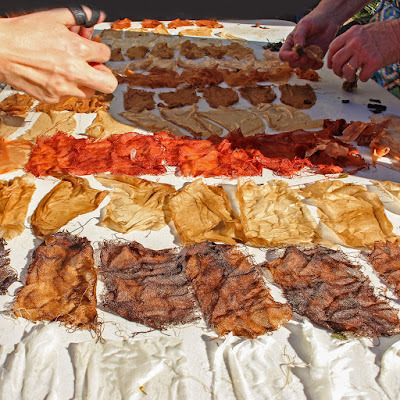 Tara Axford has kindly shared with me this video she shot during my two day eco dye workshop I recently ran at the Sydney Botanic Gardens. We had a gorgeous two days of sunshine, heat, plants and colour. In this current wet and chilly day as I write, I miss that heat we were trying to hide from in autumn! Click the link below for a hint of the grand time we shared. 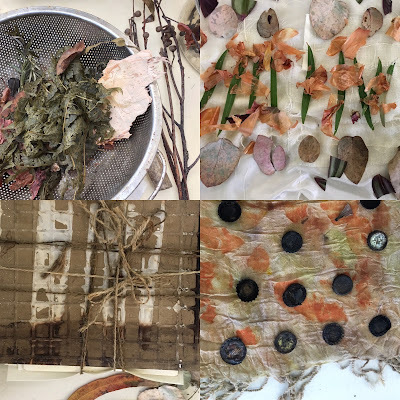 For future eco plant dye workshops, which can include on fabrics, paper or combining introduction to felt and eco print where we felt a scarf and then print with leaves onto it.... currently taking names for future dates. Small friendly groups. A lovely way to pass a cold winter's day.